Editor’s note: This is a guest post by Nicole Gibby-Munguia. 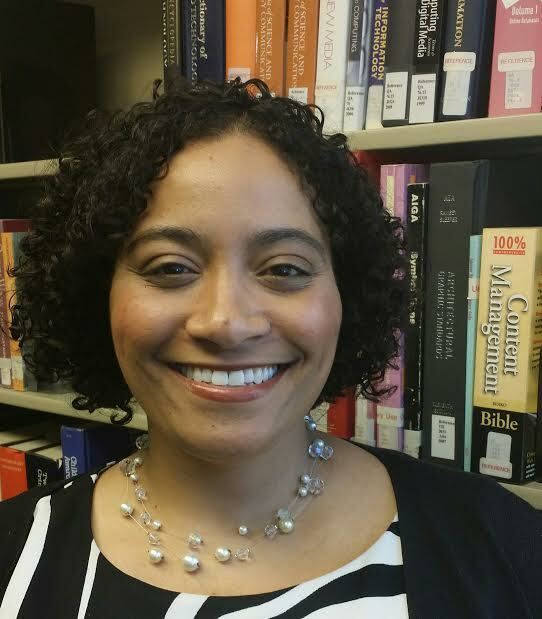 Nicole Gibby-Munguia is in her second-to-last semester in the MLIS program at Dominican University in River Forest, IL. Her interests are knowledge management and digital curation. A Midwesterner at her core, she grew up in southwest Michigan on the shore of Lake Michigan. Seeking adventure and seizing the chance to relocate to an exotic locale, she moved to Chicago – on the other side of that same lake. You can follow her on Twitter @nrgmunguia or contact her at nrgibby(at)gmail.com. 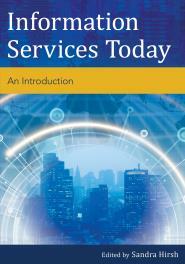 This sentence, written early on in Information Services Today: An Introduction, captures the essence of this textbook, which emphasizes the interplay between the driving forces of technology, human interaction and relationships, and the evolution of both within information organizations and services. The intended audience for this textbook is fourfold: new graduate students in information school or LIS programs, current information professionals, non-LIS professionals, and instructors of core foundation courses at information schools and LIS schools. The 49 contributors to this book provide historical background on the development of various information organizations and changes that have occurred within them over the years. In providing this history, they provide a context for the current state and future trajectory of information services, allowing the reader to not only gain a clearer understanding of how trends, issues, and technologies have evolved, but to also understand why they have evolved in the manner that they have. The text is divided into seven sections, and while individuals new to the field may wish to move sequentially through the book, the text is structured in such a way that even individuals with minimal experience may read each chapter or section on its own and still gain a solid understanding of the concepts and objectives. Admittedly, the content of some chapters may prove to be more accessible to certain audiences over others; however, the textbook as a whole provides a comprehensive picture of the landscape in which information professionals at all stages in their respective careers operate. Whether involved in front-line work, policy development, information technology-related roles, marketing and communications, or management-level positions, the reader is able to clearly understand the skill sets required for various roles in information services, the challenges inherent to the major types of information organizations, and the trending issues affecting professionals in the field. I was pleasantly surprised to find that Information Services Today: An Introduction is one of the more interesting and engaging textbooks that I’ve had the opportunity to read during my LIS program. The chapters are short, but detailed, and include thought-provoking discussion questions, figures, and charts that reinforce the text. The supplemental learning materials included with the text, which include a collection of online resources and webcast interviews with various chapter contributors discussing trends and issues should be especially relevant to all of the book’s audiences. For students enrolled in information school or LIS programs, features such as the list of abbreviations and glossary of terms will help them translate the “alphabet soup” and specialized vocabulary that will become an important part of the journey through their studies. As an LIS graduate student who is interested in working in a non-library information organization, I was particularly reassured to find that the book acknowledged the variety of information environments in which individuals with MLIS degrees can develop careers. Throughout the text, the role that information professionals play in communities, that of the “connector”, is examined at both the micro and macro level. Information professionals connect users, experiences, information, and services, whether it takes place within a particular organization, a specific geographic location, or within a global network. Through its comprehensive profile of the services, skills, and challenges that exist within today’s information organizations, Information Services Today: An Introduction demonstrates that though the work of information professionals may be carried on in the background, at times with little fanfare, the true impact of that work on the lives of community members is far-reaching and immeasurable. care list would be to bathe them as frequently as needed. Like humans, dogs have specific nutrition requirements that must be met.